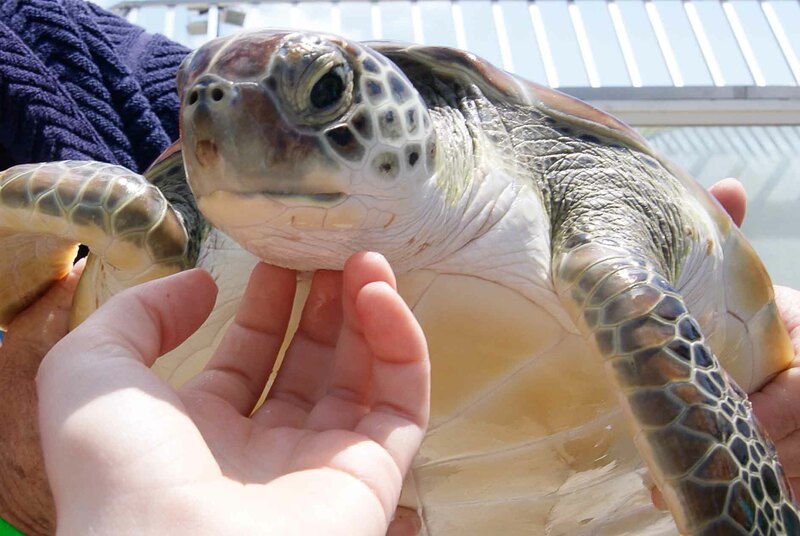 A few years ago, my family and I went on a cruise where we visited a turtle sanctuary in Grand Cayman and I did a one-day dolphin training lesson in Cozumel. 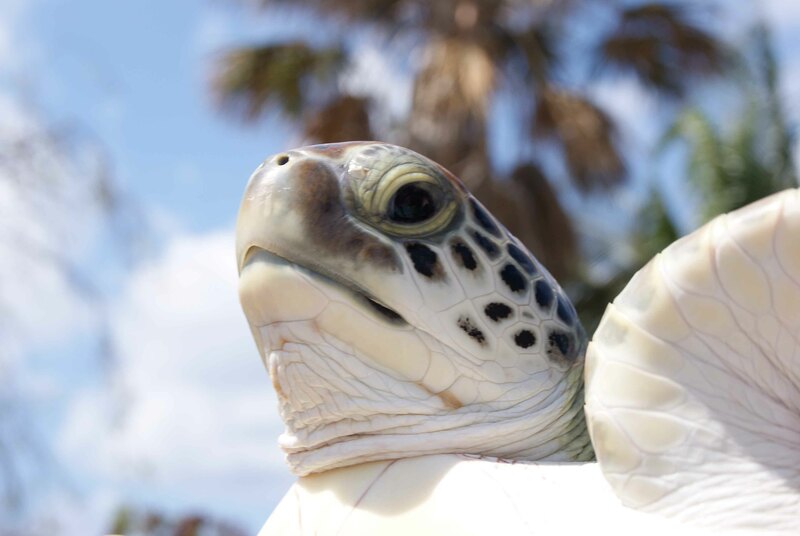 I may have taken approximately 600 pictures of turtles, but I managed to narrow it down to just a few for the blog. 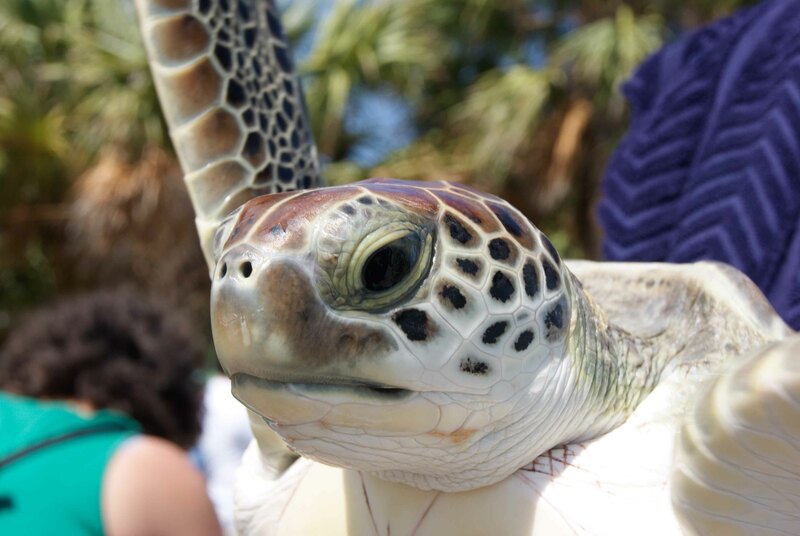 Baby turtle giving me the side-eye. The cutest!! 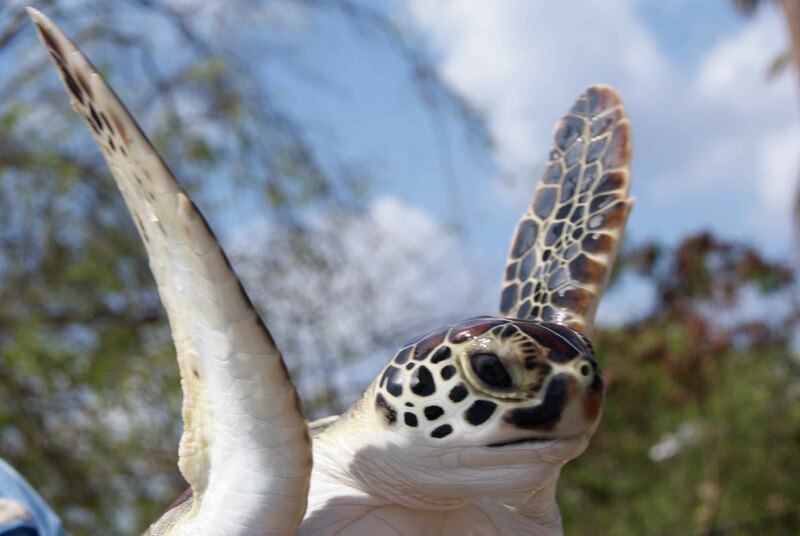 Flappy baby turtle! They flap their fins when you pick them up! But if you scratch them under their chin, they calm right down. The whole process adorable – that’s my hand, by the way. 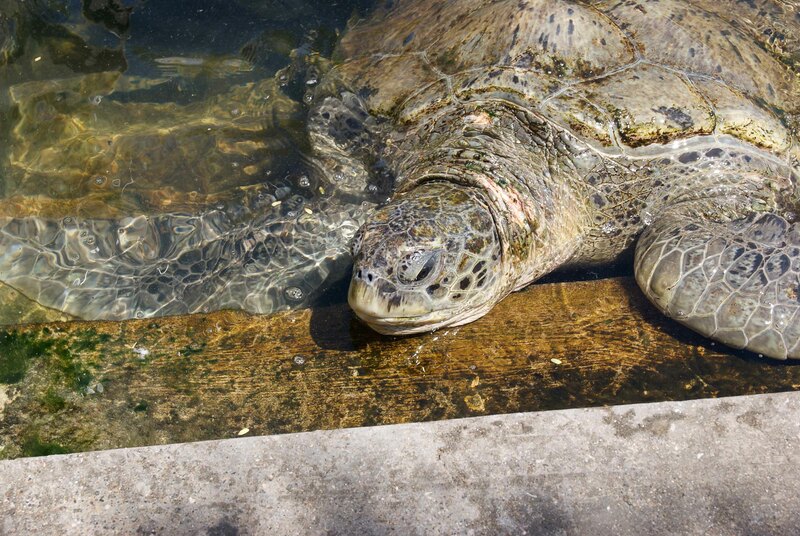 One of the many full-size turtles (which we were not allowed to interact with) just lazing around in the sunshine. 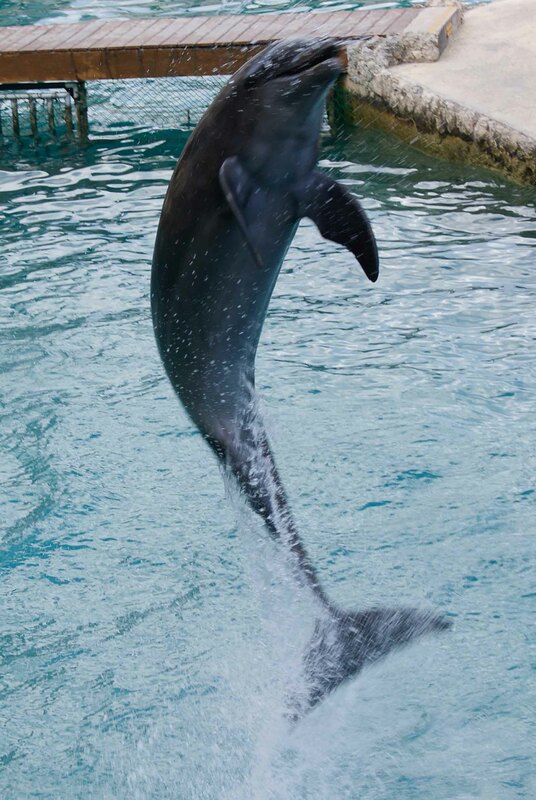 From my dolphin training bit! Most of the time I was in the water but I got to wander around and take pictures during lunch. From my dolphin interaction – I didn’t take this photo; the place’s photographer did. 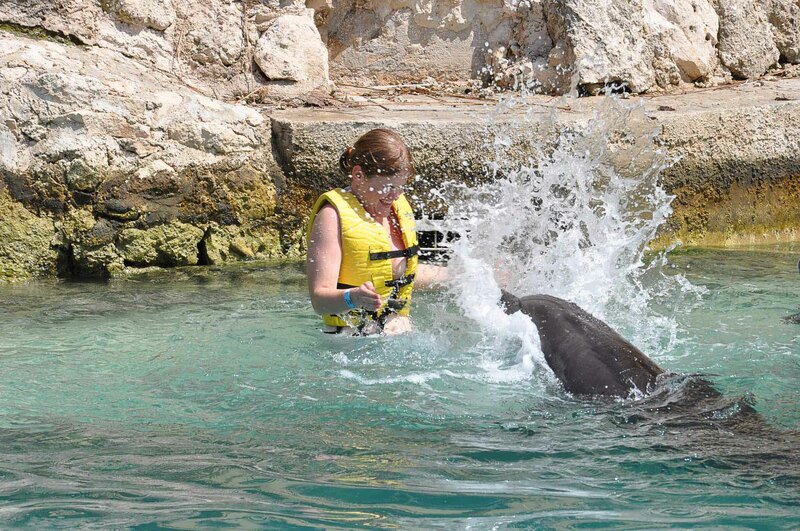 I told the dolphin to splash me and she did! This was honestly one of the most fun days of my life – playing around with dolphins and learning how they’re trained was so much fun! I was so lucky to be able to go.